The Double Down Saloon calls itself a clubhouse for the lunatic fringe. 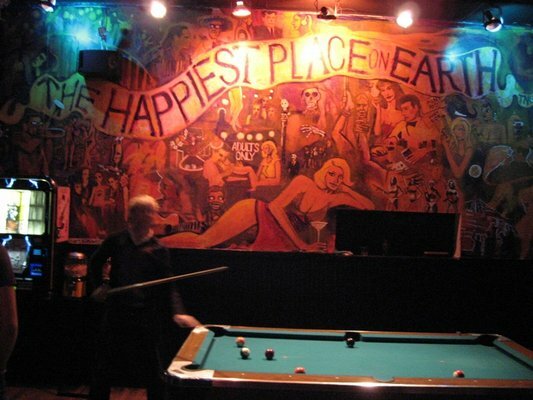 This dive bar caters to a crowd that likes to drink heavily and cheaply, while listening to the punk rock jukebox and taking in the murals of skeletons and nudes which cover the walls. All Day (12:00 pm - 8:00 pm): Two-for-one domestic drafts and well drinks, two-for-one on whiskeys that begin with "J"